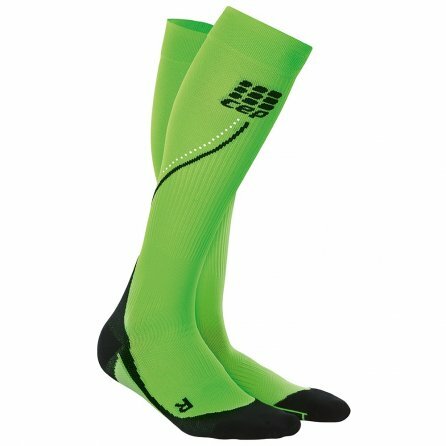 The graduated compression of the CEP Progressive Night Running Socks promotes blood flow and nutrient delivery, speeding recovery time and reducing fatigue. Reflective details add visibility for running at dusk and at night. CEP Running Socks are also anti-microbial to resist odor buildup. Padding through the foot and around the Achilles adds extra comfort for long runs.